So with Mother's Day coming up at the end of the week I thought I'd re-post a past favorite. 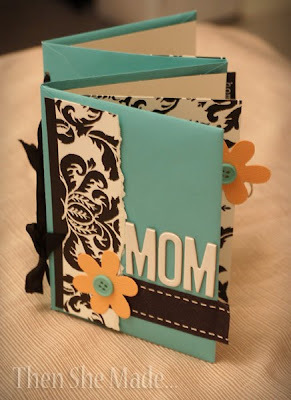 This is a little gift that you can make for mom out of a single pack of blank cards and envelopes. 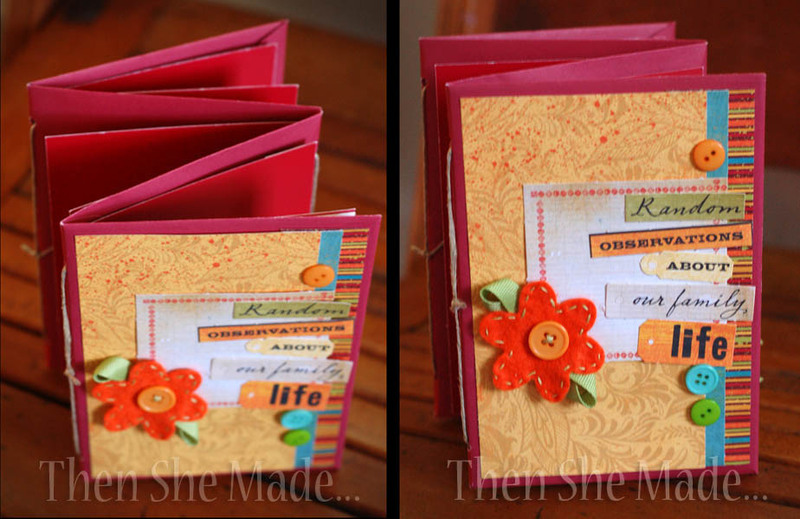 There are so many cute patterns and designs of cards out there that I'm sure you can find a style that fits her taste. Here's all the steps to making mom her own little book. And, don't forget to fill it with nice notes and memories of all that she has done for you. Step 1: Grab a pack of blank cards. Usually you can get these at Walmart or Target for around $3. 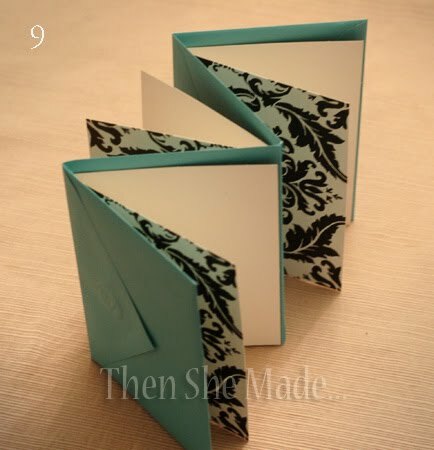 They will have 8 to 10 cards in them with coordinating envelopes. The designs lately are fabulous! Step 4: Now you need to make the covers. Trim two pieces of chipboard to fit inside the envelope. 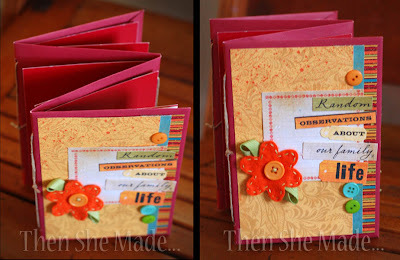 You can do this by measuring the space or by tracing a card as your template and then cutting it slightly bigger so that it fills the whole space. Then, take one piece and place it inside the top envelope and then add the second piece to the bottom envelope. Adding the chipboard will stiffen up the covers which will help protect the finished design. Step 5: Fold flap over on the first envelope to hide the chipboard that is inside. For the back envelope, cover with paper or card of your choice. Then carefully fold up your album accordion style. Step 8: Thread ribbon or string through holes and tie in place. Knot or bow can either go inside the card or on the outside of the envelope. I chose to put mine on the outside. Once your first card is in place, repeat steps 6 thru 8 until you have cards attached in all the folds of the envelopes. Step 9: When all the cards are in place and attached with ribbon, you should have something that looks like this and is ready to decorate. Below are some photos of the same project done up in different colors. Wow its really nice gift on Mothers day. Its fantastic ideas. Thanks!! !